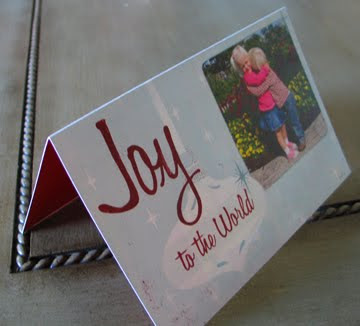 Inspiring Ideas with artist Jeanne Winters: Totally Custom Christmas Cards! 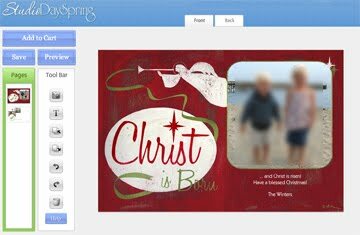 I just designed my Christmas cards! Yeah! Scratch one more thing off my list! AND on the back!! Isn't that so cool?! 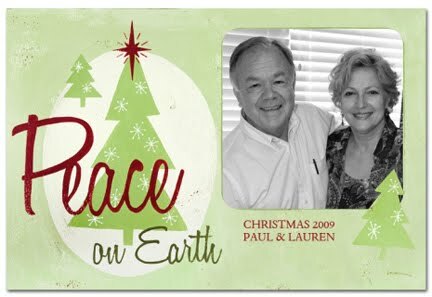 Here's a sample of my other design - green "Peace on Earth": Aren't Paul & Lauren adorable? I don't know them, but I do hope they're real people who picked my design - they look great in it, don't they?! You can be as creative as you like - Backgrounds, borders, art - you name it! Now, go have fun! BUT - Don't forget to enter my Giveaway for the Carved Wood Icthus Wall Art and Inspirational Home book! Very inspiring idea. I do similar cards every year too. I think they are more and more popular. 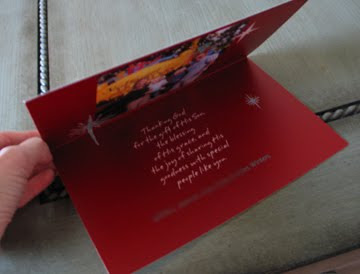 I think that this kind of personal Christmas card is much better than when you buy some general card in shop like others do. 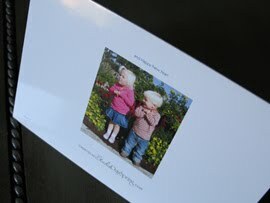 Moreover, it's pretty easy to make your own personal card. The only thing you need is good family photo. I love love love your blog! I came to it by way of little bit funky! Thanks for hosting the giveaway and I hope you have a wonderful Christmas Season!